I know The Warrior Maiden is a retelling of Mulan but it also had a very Joan of Arc feel to it as well. It has a very strong Christianity influence but also very well done historical elements. I loved the story. 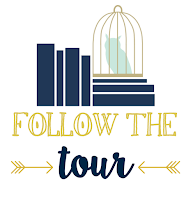 Historical fiction that feels real! I always love when you can tell a book is well researched even before you read the author’s note. I love stories that span the areas of Lithuania and Poland. My grandparents were Lithuanian immigrants (although my grandma was born in Russia). It made me laugh because my grandmother’s mother’s maiden name actually starts with Mikolai (Mikolaiunis) It was cool to have Mulan take place in a different piece of history. They are battling the Teutonic Knights who are trying to conquer lands in the name of Christ. With no male in her family to go and fight (otherwise they would lose their house) she disguises herself as Mikolai’s illegitimate son. I loved the characters in the story. I was impressed with their faith in God but also in their own abilities. The bond of Mulan and her mother is so sweet. Her mother never has treated Mulan like she is not her own and would defend her with her life. I love how much pride her mother has for her and how supportive she is. I love Wolfgang. He is such a sweet guy, that kind of guy that could easily get his heart broken. He’s a fierce in battle but so kind that you could see someone taking advantage of it. He just has this giant heart and so much respect for his family. He doesn’t give up on his brother, no matter how much he fights him on it. Mulan is fierce but I also like how she is a warrior with a warrior’s heart but she also likes to dress nice. She doesn't have to be one way or the other. She can want to fight battles and also want to have a husband who loves her and wear a nice dress in a while. She has such a strong personality and isn’t going to let anyone push her around. I thought it was a really cool way to do a retelling. I’m interested to look back at what the other stories are about. Wolfgang mentions Aladdin as a brother-in-law, sooo. If you enjoy historical fiction and retellings, this is that perfect combo of both. 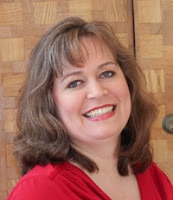 Melanie Dickerson is a New York Times bestselling author, a two-time Christy Award finalist, two-time Maggie Award winner, Carol Award winner, two-time winner of the Christian Retailing's Best award, and her book, The Healer's Apprentice, won the National Readers Choice Award for Best First Book. She is a member of American Christian Fiction Writers (ACFW) and Romance Writers of America (RWA). Melanie earned a bachelors degree in special education of the hearing impaired from The University of Alabama and has worked as a teacher in Georgia, Tennessee, and Ukraine. She lives with her husband and two children in Huntsville, Alabama. 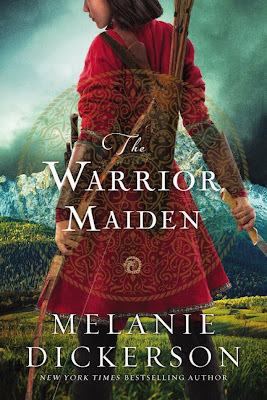 The Warrior Maiden by Melanie Dickerson. The more I read about this book the more intriguing it sounds. I believe this will be a book I have to read.